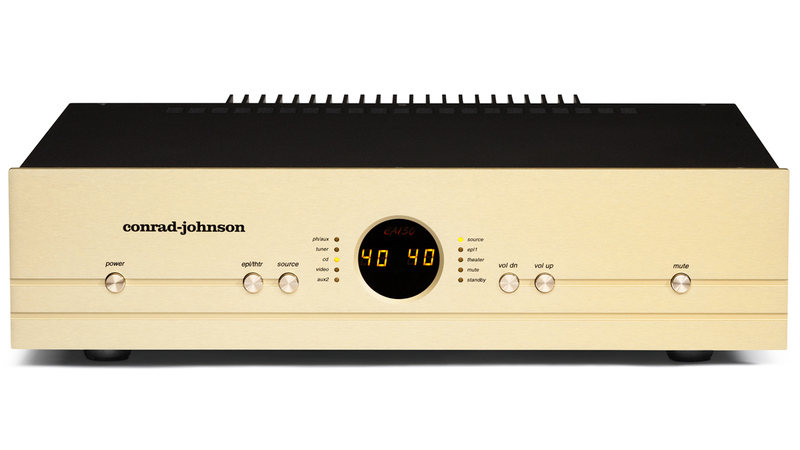 The CA150 control amplifier represents a distinctly different approach to high-performance home audio. In many ways it is the ultimate embodiment of our corporate design philosophy that simple circuits yield best results. The CA150 audio circuit is similar to our highly regarded MF2550 and MF2275 power amplifiers, with FET voltage gain circuit for tube-like transfer function and a high-current bi-polar output stage to achieve a high damping factor with limited negative feedback. The CA150 adds a sophisticated level control circuit that allows for precisely repeatable level and balance settings made in 1.0 dB increments. Most integrated amplifiers not only forgo the advantage of eliminating redundant circuits, but also are cheapened by stripping out features and sacrificing parts quality to offer a low cost entry into a prestigious brand, thereby failing to achieve even the performance gains that could be afforded by integrating preamp and amp into a single package. 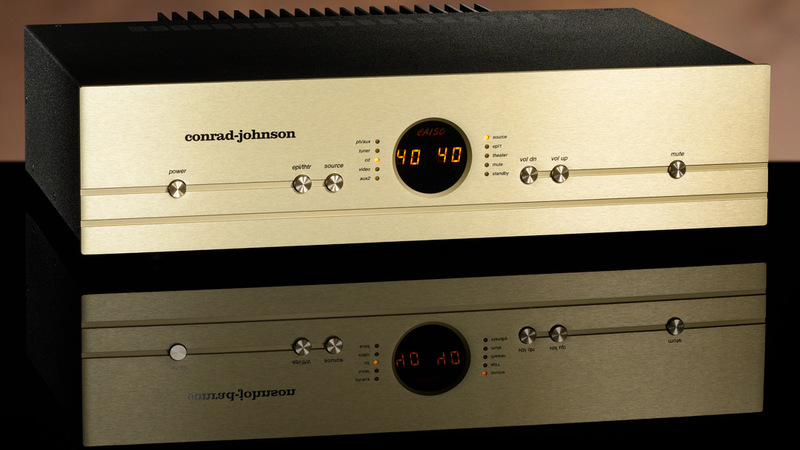 By contrast, the CA150 is a full featured control unit with seven line-level inputs including a theater loop, and its circuits incorporate the kind of top quality parts for which conrad-johnson is known. All resistors in the audio circuits and related power supplies are precision metal film types. With the exception of the large power supply reservoir capacitors (which are specially chosen electrolytic capacitors bypassed by polypropylenes), all capacitors in these circuits use polystyrene and polypropylene dielectrics. The over-sized power transformer would not seem out of place in an amplifier with much higher power rating. Even the machined gold-plated connectors have been selected for their sonic-excellence. The use of carefully selected, high-quality parts enables the CA150 to properly exploit the dramatic potential of a control amplifier to enhance the immediacy of musical experience afforded by fine recordings. As a result, the CA150 is notable for its resolution of subtle dynamic shadings and palpable imaging, for a natural harmonic tonality, and extraordinary resolution. Those who wish to take the experience a step further will want to investigate the upgraded CA150SE, which benefits from a massive dose of CJD Teflon Capacitors and ultra high-performance metal foil resistors. Either model is sure to rekindle your passion for enjoying great music in your home. 135 watts per channel RMS both channels driven into 8 ohms from 20Hz to 20KHz at no more than 1% total harmonic distortion or intermodulation distortion.